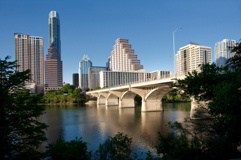 Hydro Spy, LLC serves construction industry contractors, engineers, surveyors, state and local agencies in the Austin, Texas area: Cedar Park, Lakeway, Pflugerville, Anderson Mill, Jollyville, Round Rock, Leander, Georgetown and Taylor. Our projects include hydro vacuum excavation work to locate dozens of underground utilities prior to the construction of multi-level structures. We use pressurized water and vacuum technology to safely the ground like a knife, providing critical clearance for concrete foundations like traffic signals or for the installation of electrical conduit, fiber optics, sewer lines, under slab drainage systems. The Austin area is rock hard. We know from experience how to get your excavation project completed on time and within the originally quoted budget amount. We have the right equipment for the soil type, and we have proven experience with just about any hydrovac application you can imagine. We are a Texas leader in hydro vacuum excavation technology for a reason. We dig more than we talk…because experience is always the best seller. Give us a call and expect an affordable solution for your project.